LivingWaters Resort is your best camping destination. Whether you stay a day, a week, or a month we are sure you and your family will appreciate the quiet and beautiful atmosphere of our gardens. You can tour the original Source of the Nile Monument, stand where British Explorer John Hanning Speke stood, the first European to reach the Source of River Nile (of course the Africans knew there was a river, but anyway). 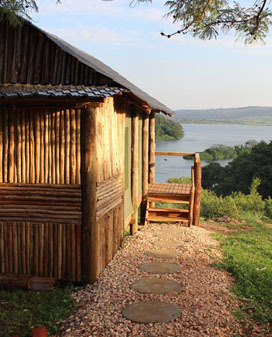 Go for boatrides across the River Nile and unto Lake Victoria. Enjoy a variety of birds nestled amongst the trees. The site also allows for camping, nature walks,parties and occasions with a truly spectacular nature setting.